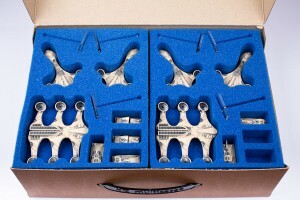 KR Multicase keeps your ships in flying condition with the release of their custom foam trays for Wave 4 of X-Wing. Custom trays for the Star Wars Wave 3 models are now available. See the Star Wars section on the website for full details of the trays and tray sets. Tray XW5 tray holds: Lambda Shuttle, 4x Fighters on stands, Shuttle stand, Damage cards, Upgrade cards, Manoeuvre templates, tokens. Tray XW7 tray holds: 4x HWK-290 on stands (or any other fighters) plus 3x B-Wing Fighters on stands (or any other fighters) plus token space. The tray sets hold a combination of the new models plus the previous releases too, all in pre-selected trays for you. And for those of you with large numbers of fighters, Set H is ideal as it holds 30 fighters plus their dials all in 1 case. KR – putting figures first. 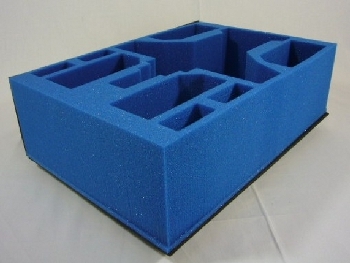 KR Multicase now has customized foam trays and cases for Warlord Games' Bolt Action armies. 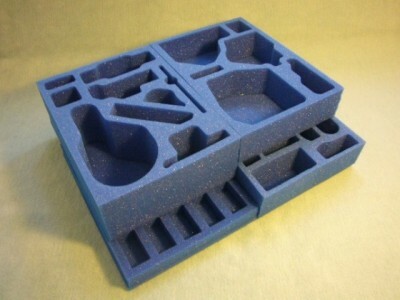 KR Multicase has new foam tray colors available over in their shop. You can also custom-make your trays with their new AutoFill program. KR have developed this unique feature to help you get the safest and best trays for your models. Simply list out your models from the drop down menus to complete your army list and then click AutoFill and your tray list will be generated for your army. Your case will be filled completely, and any spare space will have trays added as suggestions for additional storage. You can edit your list and swap out these top up trays to suit your needs. AutoFill utilises the KR “foam engine” software specifically developed to get the knowledge of KR at your finger tips by using a system of “Dynamic Automated Resolution of Your List” coding to work out the perfect match of trays and cases for your army. 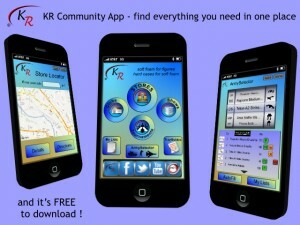 Try it today and let KR do all the hard work for you. More armies will be added each week too. And not only does AutoFill help you achieve the best fit of trays, it also give you the opportunity to choose your tray colour to match your army – yes custom trays in 10 custom colours ! Just pick your colour and add it to your basket. Another first for wargamers from KR. 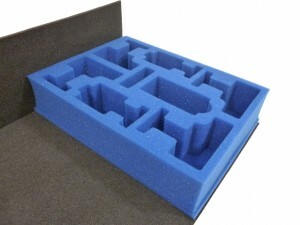 Only KR can provide this fantastic range as you can only achieve it with soft foam, and it is soft foam that will always give you the market leading protection for your miniatures. Soft foam cushions your models. Soft foam protects your models. Soft foam is the best for your models. KR Multicase has a new 6'x4' gaming table available over in their webshop. 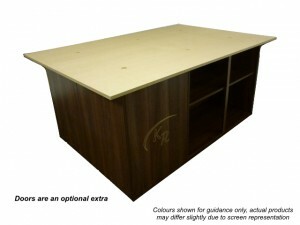 6' x 4' gaming table (dark oak colour), including 3 base units with shelves providing dedicated storage space for up to 60 standard card KR Multicases or any of your gaming accessories. Tabletop is mdf. You can customise your WarTable with a choice of 5 different finishes and optional extras such as a lockable set of doors, laminate tabletop and castors too (picture shows optional doors fitted). KR Multicase launched a Kickstarter in order to fund a new Community App for wargamers that'll help you search for stores and tourneys as well as contain your army lists. Fed up with searching for stores? And tournaments? And not having your army list with you? Looking for a local club, or the next show in a town you are visiting? Me too, so I figured it would be good to get all that in 1 place. After many conversations with gamers, clubs, and podcasts, we have come up with the Community App that you see in the video. A single place to find all the standard info you need no matter where you are in the world, or which genre of game you play. And it will be free to use. KR Multicase helps keep your dropships happy with their new Dropzone Commander cases and backpacks. Fantastic new Dropzone Logo'd cases now available. 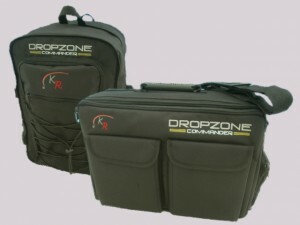 The Kaiser1, Kaiser2 and Backpack2 can now be ordered with the Dropzone Commander Logo for your growing collection. Carry two Premium Starter army cases in a Kaiser1, or all 4 starter armies in a Kaiser2, or even 2 mega armies in the Kaiser2 or Backpack2 – the possibilities are almost limitless. And of course, because they are KR transport bags they are fully compatible with all the cases and trays in the whole KR range. See the KR website for full details. Also well worth a visit to the Hawkwargames website too for details of free upgrades to one of these great cases, or an aluminium case during December. And why not enter their 1st official Dropzone Commander tournament on the 26th January in Trafalgar Square? Sounds like it will be a great event, and in a fantastic location too. KR Multicase has a pretty sweet offer starting tomorrow on their website. Go check it out. From the 17th-25th November KR are giving away a FREE standard card case with and order of any aluminium case, Kaiser transport bag, or Backpack ! KR – soft foam for figures, hard cases for soft foam ! The offer applies only to purchases of the Aluminium cases, Kaiser range and Backpack range. Any single purchase of a these products during the offer period, qualifies for 1 free card KR Multicase (product code prefix KRM) with your choice of trays. This offer is not limited to one per household, or one per person, because that is not the spirit of a true offer, it is only limited to one 1 free card KR Multicase per product form the list above. The free card KR Multicase (prefix KRM) will be dispatched with your order. You can choose trays to suit your needs form the core or the custom range. The offer is only valid from the 17th-26th November and only in the USA, information will be posted on this website with any updates as necessary. KR Multicase gives you a way to keep all your X-Wing Minis Game ships and other sundries together with their new tray system. Each game has many accessories in addition to the flyers, and the custom trays in the X-Wing set carry all the tokens, dials, cards and dice needed for up to 10 of them. That means the 3 flyers from the starter game (X-Wing and 2 Tie fighters) plus another 7 of the expansion packs – X-Wing, Tie Fighter, Tie Advanced, or Y-Wing too. So carry up to 10 flyers in one easy to use set. The set fits perfectly into our half size aluminium or card case. You can store and transport the whole game with ease using the custom designed trays from KR. The modular tray designs mean that they all fit within our huge range of cases, from the Aquilla, through to the card and aluminium cases, and the Kaiser transport bags or backpacks. 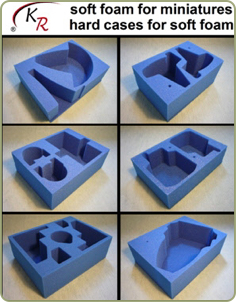 You can printout a pdf of the trays, and pre-made sets from the link. 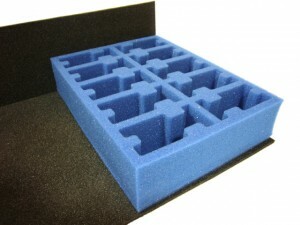 Interchange trays with the rest of the KR system, and you can be confident of the best protection for your miniatures. And of course we will have trays for the Milennium Falcon, and Slave 1 as they come out too, keep KR bookmarked for updates. 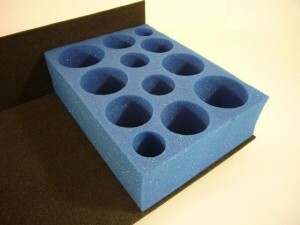 KR Multicase has new foam trays designed to carry your Blood Bowl teams. I really need to get my Pangaea Punishers back out onto the pitch again. As the KR Aquilla range has become the most popular case for Bloodbowl and other Fantasy Football games, so we are pleased to have added 2 great custom trays for the players. Easily carry 15 regular players, and 6 larger players in 1 case with the custom tray BB2. It is designed such that if you have less large players then the regular size players will fit too within the cleverly designed extendable compartments. Tale of Painters posted up a review of the Kaiser2 carrying case system from KR Multicase. The crew at Tale of Painters present a detailed review of the Kaiser2 carrying case from KR Multicase, along with two of their card cases filled with custom cut and standard foam. Site upgrades are now all complete (for the time being!) These latest improvements add the “KR TrayGuides” for armies and games. Click the link to see them. The page lists each army, we will increase this list each week to include more of the trays from KR. In addition each TrayGuide can be saved as a pdf file to share with other gamers, or to printout and keep on your PC – a great reference file for keeping your tray options handy. We are working on some other major improvements which will help make choosing the best trays for your army a simpler process - they will be added shortly too. KR Multicase has started making trays and carrying cases specifically for Bushido from GCT Studios. For all those gamers enjoying this popular game you can now buy cases and trays just for these miniatures. Available for all factions, and in a wide choice of cases form the ever popular card case to the Aluminium and the Kaiser Transport bag system. Easily carry your complete faction in a half size aluminium with room for more if needed. Bushido trays and case are interchangeable with all the rest of the KR system, and the soft KR foam will keep your miniatures safe from damage and paint scuffs, and the hard cases protect the soft foam ! KR Multicase, you may have seen the other day from the Hawk Wargames website launch, is making trays that are custom-designed for Dropzone Commander. Well, they're available direct from the source, too. Dropzone Commander - one of the most anticipated games of 2012 launched on the 8th June, and promises to be a superb game of mass sci-fi battles with dropships, tanks and troops in opposing forces with a great ruleset. You can see the full details of the game and miniatures on the Hawk Wargames website. KR Multicase is proud to be an official sponsor of the NOVA Open. We are very pleased to announce that KR is sponsoring the NOVA Open this year, the organisers wanted maximum protection for figures, and so KR with our soft foam for miniatures and hard cases for soft foam was a natural choice for them. And not only that, but we teamed up to help them offer exclusive VIP swag bags - a KR Backpack2 filled with their NOVA goodies - be quick though there are only 50 available ! See here for details of all the NOVA Open exclusive deals. See here for all details of the bags and contents here. You can see the full NOVA Open details here. 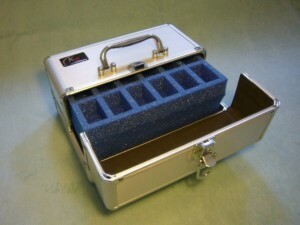 KR Multicase has new aluminum carrying cases to keep your models save and snug and cozy. The KR half width card case is already a very popular case, and now you can get the same great half width case in aluminium too. It is the same design and material as the standard aluminium case - just half the width – so is perfect for Dystopian Wars, Infinity, Malifaux, Bloodbowl, and any skirmish games. Or simply for an expansion of your current army. For example carry 100 troops, or a troop/vehicle combo (eg. a landraider, 2 dreadnoughts and 18 terminators), or even your special models like a couple of drop pods. KR Multicase now has half-sized hard cases to carry your trays in if you only want to take a small pack with you. 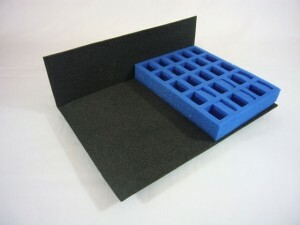 The new half width card case is now available for your KR trays. It is half the width but the same height as a standard case and is ideal for organising your armies in combination with the modular KR Multicase system. Carry 100 troops in one, a troop/vehicle combo (eg. a landraider, 2 dreadnoughts and 18 terminators), a full Dystopian wars fleet, or even simply your special models like a couple of drop pods. The KR Tyranid custom trays will be avialable this week too, and are designed to cover the full Tyranid range - as usual the unique KR designs with soft foam and hard cases means that your will carry more in a case and have the best protection possible for your models. The KR Tyranid custom trays are due out at the end of the month and will have some sets and trays at the show, drop by and see them - as usual the unique KR designs with soft foam and hard cases means that your will carry more in a case and have the best protection possible for your models. And we will have a Prestige Case for the Tyranid Hierophant as well as one for the Tau Manta – yes the 40k size one – if have built one you will know how much you want to protect it when transporting it to a game – drop by and see them both at the KR stand TK02. KR Multicase continues the revisions to their website and wants to keep everyone abreast of the topic. As you know, we launched a whole new KR website last year. That was stage 1, and we have now uploaded stage 2. These improvements to the site add even more simplicity to the navigation to get you to the best trays and cases for your army in just a few clicks. Look out for Stage 3 update in summer, it will add a great new feature! Click the link to see the site improvements and try out how you can pick pre-filled cases, make up bespoke cases, find tray sets and individual trays with ease to give your army the best protection. The “what fits” page makes its return too, and is updated with even better listings for armies. Find it on the home menu from any page, a simple click will show you all you need for your army. KR Multicase is doing a Willy Wonka routine and giving away their backpacks at Salute to those that pick up their "goodie bags." 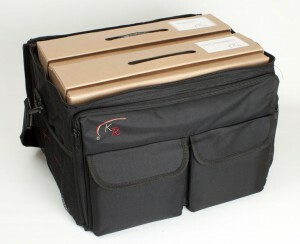 his year KR have another great giveaway of transport bags planned for the Salute 2012 show. If you are unsure whether to go make sure you do ! 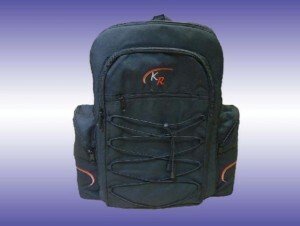 KR are giving away 250 of their fantastic versatile Backpacks FREE at the show. There will be 250 “golden tickets” in envelopes like the one pictured randomly placed in the Salute goodybags. Check your bag as soon as you arrive and if you are lucky to get one, come over to KR at stand TK02 and pick up your KR Backpack – it could be a Backpack1 or Backpack2 – check your ticket for which one you will get. The great thing about the KR Backpack is that even if you are not carrying an army at the show you can use it to carry all your other purchases on the day, and use it for your army on another day. The new custom made tray set for Dreadfleet is now available on our website. Carry all of the set (ships, scenery, cards, etc) in custom made trays in any of our standard size cases - Aluminium, Kaiser1, Backpack, K-Lite, Card. The safest way to carry these miniatures is in soft foam trays that protect all the fragile parts and don't damage the paint. Perfect timing for Christmas! The trays available individually from the custom tray page on the website. The new Kaiser transport bags are now available on our website. These updated Kaisers are available in four sizes carrying from one to four card KR Multicases, providing you with the most versatile transport system for your figures. KR Multicase launches their brand new website. We are pleased to have launched our new website. You can see the improvements we have made to case and tray selection system and it is now easier than ever to choose the best case and trays for your collection. Either select from the extensive range of armies covered by the KR range of cases and trays, or choose the KR case you want either by size or type, and then fill it with troop, troop and vehicle, cavalry trays and so on to suit your needs. KR are specialists in the storage and transport of miniature wargaming, and have a wider range of cases and trays for more game systems than any other manufacturer. KR cases are available for wargaming miniatures from Gamesworkshop, Warmachine and Hordes, Wings of War, Flames of War, Heavy Gear Blitz, MERCS, Malifaux, Puppet Wars and many more. More cases will be added to the list over the next few weeks ! We will be adding increased functionality to the website as well as a range of new trays and products over the next few weeks, keep KR bookmarked for your next army case. 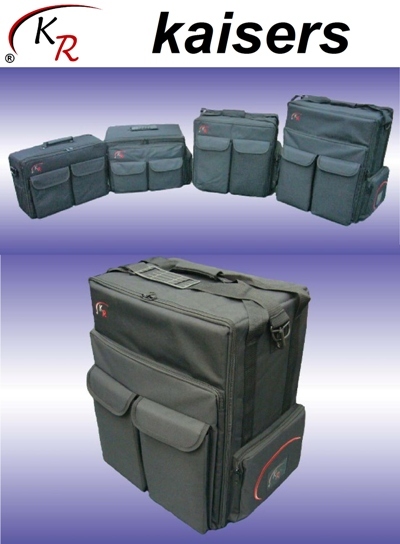 Kind regards Daryl KR Multicase - the complete storage and transport system, soft foam for figures, hard cases for soft foam. 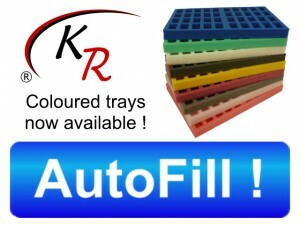 It has been a busy week at KR, and we are pleased to have added a number of new trays and a few updates to the website.